Christopher lost track of fitness early in life, but regenerated his passion though bodybuilding. 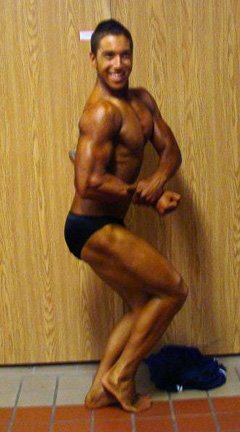 He road tripped to the Arnold Classic, competed shortly after, and craves more iron! I've always been an athletic guy, competing in hockey, soccer, tennis, swimming, taekwondo, and baseball. None really interested me, so I tried out for a musical and went more of an art type. My physical activity decreased, my diet fell off, and I started noticing that I was putting on quite a bit of body fat. I always wanted to work out at a gym, but my parents told me I was too young, and told me wives' tales about how it would stunt my growth. Finally, I convinced my mother to get me a gym membership. I started with a personal trainer who showed me the basics and then I went out on my own. I was thrilled to be in the gym. I saw the pounds come off and I got stronger. Getting stronger week-by-week and month-by-month was a great feeling, so I kept at it. I started powerlifting with my cousin, until I saw a picture of Ronnie Coleman. I thought he was a monster and was instantly mesmerized by bodybuilding. I started researching about competitions and watched tons of videos. I took a road trip to the Arnold Classic in Ohio and decided to compete in a bodybuilding competition. When I got home I found a show that gave me time to diet down and went for it; 15 brutal weeks of training, cardio, dieting, tracking macronutrients, and lowering calories to as low as 1,200. I pushed myself through it all, dropping 37 pounds and looking better than ever. I stepped onstage for the first time in a junior class with one competitor. It was an amazing experience. 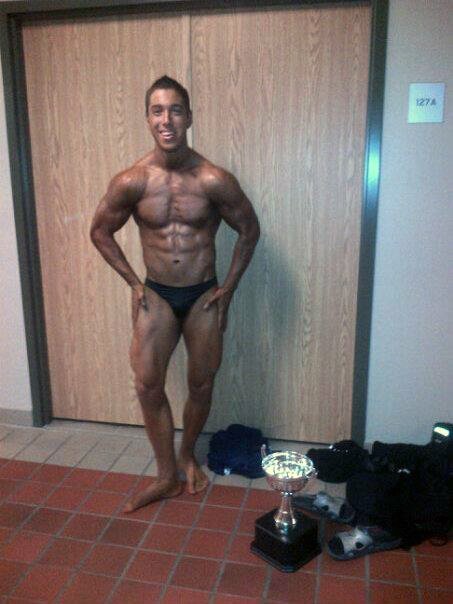 Even though I came in second place I'll work to build more mass and compete in another bodybuilding show in the future. The workout plan that worked best for me is a five-day split, training each muscle group twice a week. This was my meal plan near the end of my contest prep. My passion emerged when I started seeing amazing results. I love bodybuilding because it keeps me active. The self-satisfaction you get after dieting 15 weeks for a competition can't be beat. The sport gives back everything you put into it and more. It's beneficial to my health and for school. It gives me focus and dedication to succeed. No other sport, in my opinion, requires as much dedication as bodybuilding. That's why I love bodybuilding and fitness. Self-improvement and reaching new heights motivated me to follow a healthy lifestyle and be a fitness guru. My family and friends played a huge role to motivate and encouraging me to achieve my goals. Without them, I wouldn't be who I am today. Most of all, people who doubt me or didn't believe in me were proved wrong. My inspiration came from IFBB pro bodybuilders and the struggles they go through to get contest-ready. I wanted to prove to myself that I was able to do something not many people could do; dropping down to extreme levels of body fat from extensive dieting, getting onstage, and giving it my all. My plans are to take time off from competing to bulk for a year or two. When I put on some quality lean body mass, it will be time for me to step back onstage again. The most important fitness tip, in my opinion, is to stick to a diet and find a great training routine. Don't let anyone tell you what you can't do. Just go for it, don't look back, and prove them wrong. My favorite competitor is Kai Greene. He started with nothing and became one of the most successful bodybuilders today. His dedication and love for bodybuilding inspires me and young people everywhere who pursue fitness. 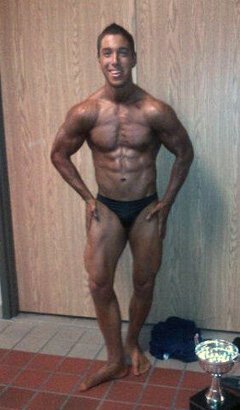 Bodybuilding.com allowed me to read articles, gather information, and get great advice from others on the forums. Without the articles and forums on Bodybuilding.com, I wouldn't be as knowledgeable about fitness as I am today.